The clearness of the water off Kapas is comparable if not better than the other faraway islands. Snorkeling is just within swimming distance from the beach. Price include 2 way transfer to island & 2 way transfer to Marang Jetty. Kapas Island, a gem of an island with crystal clear water. Ideal for snorkeling, picnicking or just swimming. 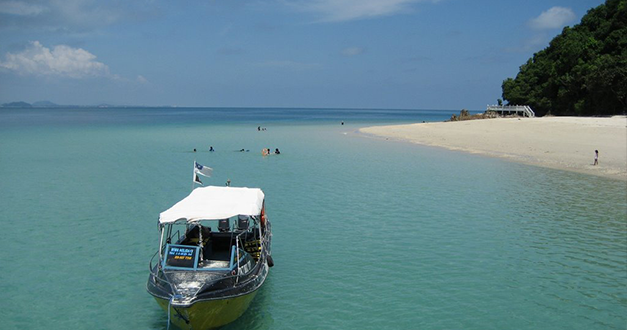 The only tropical island in Malaysia with beautiful coral bay that is just 6 km away from the mainland. Day trip are easily organized from here. There are many variety of fishes and snorkeling is just within swimming distance from the beach. Even for the most “tight scheduled” traveler, a day trip to this island is practical and not to be missed. Your Marang trip is not complete without Kapas Island Experience.